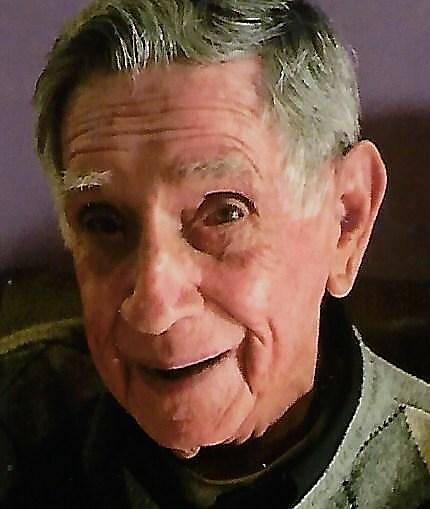 Jack Atkinson, 92, of Senecaville, passed away Thursday (August 23, 2018) at SEORMC. He was born August 5, 1926 in Belmont County and was the son of the late Guy and Sarah (Marmie) Atkinson. Mr. Atkinson retired in 1986 as Postmaster in Barnesville; he formerly worked at Barnesville Dry Cleaners and was the former owner of Bell’s in Barnesville. He was a 1944 graduate of Barnesville High School, a member of Barnesville First Christian Church, and attended Derwent United Methodist Church. Jack was a member of Barnesville Elks Lodge, and American Lodge. He enjoyed traveling with his wife to visit friends and family, bowling, and was in several golf leagues. He was a U.S. Navy veteran of WWII. In addition to his parents he was preceded in death by his wife of sixty four years Kathleen (Waddell) Aktinson whom he married April 12, 1952 and passed away June 15, 2016; four brothers, Dale, Ralph, Lawrence and Gene. He is survived by one daughter Peggy LaFever of Quaker City; two brothers, Guy J. Atkinson of Massillon and Tom Atkinson of Cambridge; one sister Carol Gallagher of Barnesville; three grandchildren, Amy (Jon) Jordan, David LaFever and Tyler Null; four great grandchildren, Anthony (Hannah Moag) Jordan, Katelyn (Caleb Moore) Jordan, Aden Jordan, Hayleigh Robin; one great great granddaughter Elsie Grace Jordan. Calling hours will be Monday from 6-8 p.m. at Black-Epperson Funeral Home, Byesville with services to follow at 8:00 p.m. with Pastor Debbie Gheen officiating. Burial will be in Buffalo Cemetery at a later date.